Soccer players need a lot of lower body strength and flexibility. Many players are one leg dominant and kick the ball with one leg. They use the other leg for balance and support. Players use their hips, quads, gluteus muscles, hamstring and ankles. This can lead to issues with back, hip and legs. The following asanas help improve flexibility of lower body, increases energy and eases pain. Begin with adho mukha svanasana and pace your right foot frontward between your hands. Ensure your knees are aligned over your heels. Place your left leg on the ground with the foot touching the ground. Now, slowly glide your left leg backwards until you feel a good stretch on your thigh. Breathe out and move your right leg a little forward. Breathe in and raise your upper body and stretch your hand at right angles to the ground. Push your pubis toward your tail bone and chest towards your spine. Lift your head, stretch your fingers upwards. Stay in this position for 15 seconds. Slowly return to the original position. Repeat this using the other leg. This asana help improve focus and energy. It makes the body more flexible and makes the ankle joints strong. Stand straight and keep your feet apart. Rotate your right foot at 90 degrees and place your left foot at 45 degrees. Bend your right knee and place your thigh parallel to the ground. Bend your knee towards your little toe. Raise your arms parallel to the floor and keep your shoulders wide. Bring your right arm down to touch the floor outside the right foot. Raise your left arm up over your shoulder. Firm your left foot. Place your spine and neck in line and roll your left hand over your head, near your ear. Hold this posture for 15 seconds and return to original position. This improves flexibility and lower body strength. It also makes the ankles strong. Stand straight and place your right foot frontward and away from the right foot. Lift your hands, stretch them outside the body. Keep your left foot at 90 degrees and right foot at 45 degrees. Breathe out and turn your upper body toward your right. Inhale. When you breathe out, try to touch the foot with your left hand. Stretch your right hand upwards. Remain in this position for 20 seconds and repeat the same with your other side. This increases flexibility and strengthens the body and joints. Lie on your back and fold your knees at 90 degrees keeping your feet on the ground. Rest the sole of the feet together and open your knees outwards. Let the knees open freely and allow gravity pull them downwards. Relax. Inhale and stay in this position for a few seconds. This asana relaxes thigh muscles and improves lower body flexibility. It gives a good stretch and relieves tiredness and stress. Lie down on your back with legs extended. Pull your right knee towards your chest and apply a belt around the foot. Lift the leg toward the ceiling by holding the strap. Keep the shoulders on the ground and extend the arms to support the stretch of the leg. Keep the left leg grounded for support. Stay in position for a few seconds and repeat the same using the left leg. 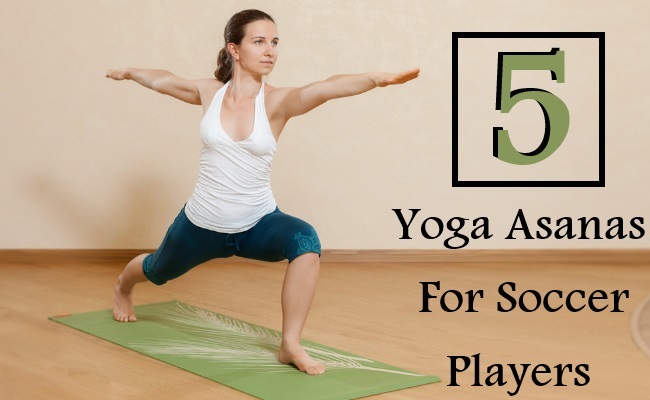 This asana stretches hamstring, thighs and calves. It aligns the pelvis and releives knee and hip pain.